Hi, I’m Lea Chapin. I’m so excited to be here with you today. It’s February 22, 2017, and my new book, Divine Union, the Love Story of Jesus and Mary Magdalene, is soon to be released in March, 2017. I’m so so excited. I’ve been working on this book for almost three years. And I had to come to Mt. Shasta, California, to finally complete it. And I have so much overwhelming love for this story and these magnificent beings who share their life with you through their love story about their sacred union and how they went through all their struggles to find peace and balance so that we here on Earth, all of us, could walk in their footsteps and find that peace and that balance inside of ourselves. That’s what my new book is about. Divine Union. Sacred Union. Learning to be still within ourselves, to find our own voice, to empower ourselves to step into our own frequency which is our birthright. The power of God that lives inside of us. And so today, I share with you this great excitement. It’s been a long journey, and I know that with each moment of life, that we all live, from this day forward, we can choose to empower ourselves, we can choose to step into that Sacred Union, and we can be at peace. This is a reality, and we are here to help you. Jesus, Mary Magdalene, all the Ascended Masters, and beings of light, all the realms of being, they’re all here for you, it’s very real. 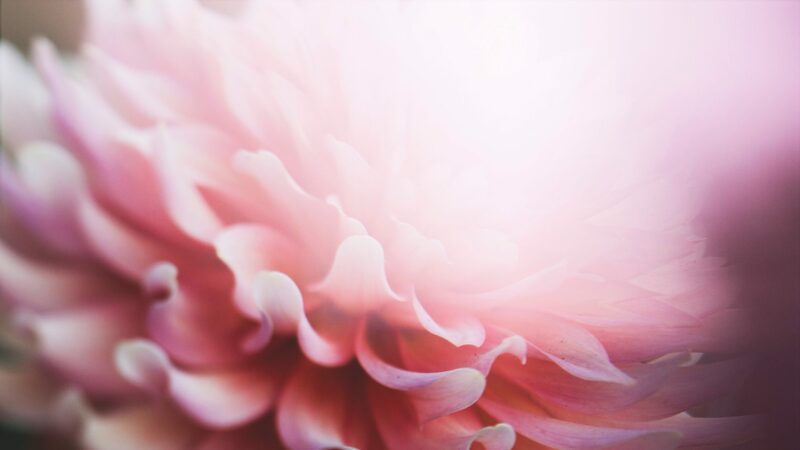 I’ve coined the tagline, “practical spirituality with a real life solution.” I’m a psychotherapist, I’m an intuitive counselor, and I channel the multiple beings of light who have come to me for the past 24 years. And when these magnificent souls, Jesus and Mary Magdalene, began to work with me over 20 years ago, it truly, truly changed my life. And that’s what this book is about: Divine Union, the greatest love story ever told. It’s about loving yourself, it’s about coming to this realization that you truly are an ascended beautiful being of light. And if you make that choice and you believe it, then all things are possible. 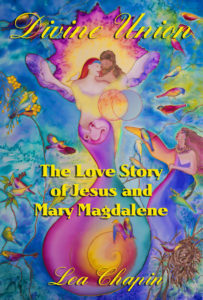 It’s a chapter from my book Divine Union: the Love Story of Jesus and Mary Magdalene. As I’ve already told you, this book has been channeled from their perspective. The voices of Jesus and Mary Magdalene are heard in each chapter, and this particular chapter is from the voice of Mary Magdalene. And it’s entitled: Preparing for the Crucifixion. This day I will never forget, for it changed my life forever. The way she looked at me and the tone of her voice instantly alarmed me. I felt my heart begin to pound. Beads of perspiration suddenly lined my face. With my thoughts spinning, I blurted out in a panicked voice, “What is wrong, Mother? Is there something wrong with Yeshua?” She nodded and looked me straight in the eye and admitted, “Yes, Mary. Yeshua needs our help.” My throat tightened as I began to choke back tears. What trouble could Yeshua be in? My mind began to race. I began to tremble and sob. “No, I cannot do this. I will not do this. I cannot do this thing!” She once again looked me directly in the eye and affirmed strongly, “Yes, Mary. You must, and you will! It is your sacred soul contract to help Yeshua through the crucifixion, and then through his resurrection and ascension process which is all part of the Great Design.” She continued on to explain that the purpose of Yeshua's sacred soul contract and mission was to awaken humanity in understanding that their spirits are eternal as physical spiritual beings. We, as a family, have also contracted to help Yeshua through the Great Design. Even though I could not fully comprehend all that she was saying, I nodded in agreement, for I knew I truly would do anything to help my beloved Yeshua. I do not remember everything Mother told me on that day, as I was in a state of intense shock and disbelief. However, I do remember her warning me that for Yeshua's safety, only a very few would be privy to the Great Design. This small inner circle consisted of Uncle Joseph of Arimathea, Yeshua's cousin Elizabeth, Mother Mary and myself. Not even Yeshua’s disciples were to know the truth. Mother Mary made me promise not to speak of this to anyone, not even Yeshua, until the appointed hour, for his own protection and state of mind. It was difficult to keep my promise, because I tended to share almost everything with Yeshua, but I knew it was important that I do so. A few more agonizing weeks went by, until Mother Mary finally came to me to report, “Mary, it is now time.” I remember almost fainting and feeling frozen in fear. I had been anxiously waiting, and now the time had come for Yeshua to be informed of his future plight. I was deeply frightened for him, but Mother's calm, gentle presence comforted me. Mother Mary always had a loving strength about her that brought comfort to all in her presence. She tenderly placed her hand upon my face and smiled sweetly and stated that she would speak to Yeshua tomorrow at dusk. She said nothing more, and then she turned and walked away. To this day, I do not know how Mother approached Yeshua about the crucifixion, as I never had the courage to ask her, and she never spoke to me about it again. That night, I was unable to sleep, as I was so distraught. Early the next morning, Yeshua appeared at my doorstep, visibly shaken and with tears in his eyes. When I opened the door, he literally fell into my arms and began to sob. We spoke no words as we sat in silence holding each other tightly, for we knew our lives had now changed forever. The silence was deafening, yet we could feel each other’s heartbeats, as we were both so frightened. It was so hard to accept what Mother Mary had shared with us, and to face the inescapable tribulation that lay ahead of us. We just sat quietly for the rest of the day, holding hands as we clung to one another. Our connection was so strong that what one felt, the other felt just as intensely. I could not imagine what Yeshua must be thinking, but my heart ached, as the thought of being crucified for one’s beliefs was truly unimaginable. It deeply angered me that this horrendous ordeal was about to beset my beloved Yeshua. I so wished I could right this seemingly terrible wrong, but I knew deep down that this was all part of the Great Design which had been orchestrated before Yeshua’s birth. As Yeshua and I sat and tried to reconcile our own emotions, we knew that the dreadful day of the crucifixion would soon be near. And so, as we always did, we prayed for guidance, strength, and God’s blessing upon our souls. A couple more days passed, and then Yeshua came to my home and asked me to help him begin preparing for the crucifixion. Mother Mary had told him that his cousin Elizabeth and I were to help him, so his soul would not feel the pain of the crucifixion. Elizabeth and I knew we must learn how to hold his soul consciousness in our hands like a pearl in a net. Our great responsibility lay heavy upon us, as we were both aware that there was a likelihood that Yeshua might physically die, if we did not perfect our technique. We began to feverishly practice day after day, helping Yeshua alter his consciousness into a hypnotic state. I instructed him how to go into a very deep trance-like state through the sound of my voice. He would enter into this hypnotic state and his soul would leave his body and merge with his oversoul. Elizabeth and I had never done anything like this before, and it was a skill that we both needed to master rather quickly to ensure Yeshua’s physical survival. As we continued to prepare for the upcoming crucifixion day, we trusted that Yeshua, being the master that he was, would soon become proficient in regulating his own bodily functions, such as his heart rate, respiration, autonomic nervous system and vital life force energy. We trained for hours assisting Yeshua into the hypnotic trance state where his respiration and heart rate would become invisible to the human eye, and it would appear as if he had died. It was a very tricky and frightening process for all of us. We were afraid that if we did not master this, the Romans would discover that Yeshua had not really died and inflict fatal wounds upon him. We had to train him to remain in the trance state for over four hours, for Uncle Joseph had told us that the crucifixion could last that long. Elizabeth and I tediously worked with Yeshua, until we felt confident that he would respond to my voice and transition safely out of the trance state. When it was time for him to reawaken, I would give him the cue to return to alert consciousness with the sound of my voice. Yeshua would often ask, “Mary, what if I'm not able to remain in that trance state for as long as I need to? What if the pain and the suffering are too intense and really kill me?” We were not sure what might happen to Yeshua, but we all knew that it was vital that he learn to master his vital life force energy for his own survival. Cousin Elizabeth was deeply devoted to Yeshua and his mission. We often called her the ‘taskmaster,’ for if you ever wanted anything done, you knew you could count on her to do it. When Yeshua would become frightened, she would often say, “Now Yeshua, you know what needs to be done.” He knew, as we all knew, that the Great Design was already set in motion, and there was no way out of this. However, Elizabeth was also very sweet, kind-hearted, compassionate, and was so loving to Yeshua that when he was insecure and frightened, she had a very tender way of calming him. I could not have helped Yeshua without Elizabeth’s care, as I was not emotionally strong enough. I knew that without her, I would not have remained sane. I credit Elizabeth’s great courage, strength, tenacity, and determination for helping me get through these trying times. Elizabeth was never given any recognition for what she did for Yeshua, but we knew that she was the backbone that was needed for Yeshua to survive the crucifixion. Elizabeth was a gentle, quiet, unassuming individual who never liked being in the spotlight. However, she was so powerful that we all relied on her strengths during this most difficult time of Yeshua’s life. We were taught as young children to respect, listen, and follow the rules of our elders. Even though I was rebellious and oftentimes defiant, I knew that my elders were to be respected and honored for their wisdom and knowledge. So we never questioned their authority on this matter. As we came to understand later, Yeshua had unknowingly begun his preparation for the crucifixion during those early years of his spiritual training. While we were preparing for the crucifixion, my heart ached with so much pain, that I literally thought I might have a heart attack. I was so frightened and nervous for Yeshua's safety, that I began to experience panic attacks almost daily and even began to hyperventilate at times. My mother was deeply concerned about my welfare and was afraid that I might have a mental breakdown and completely collapse both mentally and physically. She was like a healing balm and a comfort to my soul, for I was not the kind of person who allowed others to nurture or comfort me, not even my parents. I was a hotheaded, temperamental, and very independent young woman. I was always determined to do everything on my own, and I liked being in control. But preparing for Yeshua's crucifixion was something that I could not control, and I became terrified. Dear cousin Elizabeth and my mother tried to comfort me to steady my nerves, but I would often become jittery. They would frequently have to physically take care of me when I would become weak, faint, and lightheaded, as my panic attacks became quite severe. My love for Yeshua was so intense that my heart literally ached with fear for his safety and survival. The news of his impending crucifixion had taken me so much by surprise that the anxiety left me unable to focus or concentrate. I felt as though I was living an unending nightmare, unable to escape my own terror. I could not conceive why God would have Yeshua sacrifice himself with such suffering, just to show that the spirit lives on. I became angry at God and refused to believe that any good would come from all of this. I was not emotionally or physically stable during this time, and my mother, Elizabeth, and Mother Mary would encourage me to sit in sacred circle to reconnect with the Earth Mother. They gently reassured me this was of the utmost importance for me to feel safe and secure, so that I could carry on with my duties and responsibilities assisting Yeshua at this most difficult time. Looking back, I often was ashamed to say that I did not have the strength or courage and I wavered in my belief in God during this excruciating personal trial. I had been exhausted, and my dear friend Elizabeth was the one that would come to help assist me. She was always so understanding and was a sweet and gentle soul. I trusted her implicitly, as she was deeply devoted to me and to Yeshua’s mission. I always wondered where she found the inner strength to carry on. Many people believe that I was the epitome of strength, but it was Elizabeth who was the stronger one. At that time, I was so emotionally distressed that I considered myself weak-willed and undisciplined, and I admired Elizabeth for her exceptional qualities of devotion and strength. I trusted and loved Elizabeth like my sister, for we were best friends, and she always knew what I needed. Surprisingly, it was during this time that my relationship with my father began to heal from the misunderstandings about the depth of my love for Yeshua. Elizabeth was the one who was instrumental in helping me heal my relationship with my father. He was concerned that I was emotionally and physically unstable, and yet he did not understand what was causing me so much angst. Elizabeth encouraged me to approach my father and to share with him what was troubling me. I was hesitant to share the truth, for he was not to know Yeshua’s fate. But after I opened up to him a little more about the terrible situation causing my agony, he became more compassionate and understanding towards me. My reconciliation with my father was quite healing for me, as I loved him very deeply. I had always desperately wanted his love and approval, but because I was so stubborn, I was unable to admit that I needed him. I knew that my parents loved me, but it took the pain of Yeshua’s upcoming crucifixion for us to settle our differences. Once again, I had Elizabeth to thank for this new level of harmony and healing between my father and myself. As the days grew closer to the dreadful day of the crucifixion, I began to regain my physical and emotional stability once again with the help of my mother, dear Elizabeth, and the strength of the Earth Mother. On many nights, my mother, Mother Mary, Elizabeth, and myself would sit in sacred circle and pray for Yeshua’s safety. We would beseech wisdom, guidance, clarity of purpose, and strength. And as we infused our energies with the energies of the Earth Mother, we were able to connect our energies, and this would bring me calmness and tranquility. On the eve of the crucifixion, we sat in sacred circle, as Mother Mary led us in prayer incessantly until the wee hours of the morning. As the night grew darker, and we gazed into the sky, we all felt the stillness of the night. There were no stars to be seen. It was both eerie and serene. I remember feeling both peaceful and terrified at the same time. This was the longest night of my life! It was just a few hours now before the Romans would come to arrest Yeshua, and Elizabeth, Mother Mary, and I went to awaken him. When I saw him, I knew that he, too, had not slept all night. He looked extremely weary and exhausted, and I could see the fear in his eyes. Had we prepared enough to save Yeshua's life? What if he did not survive? The ‘what ifs’ were flooding my mind, but I knew I must trust in the divine plan. It was imperative that I control my emotions and prepare as I had been instructed. When it was time to say our goodbyes, Yeshua kissed me lightly on the forehead. Mother Mary, Elizabeth, and I were weeping as we watched Yeshua quietly walk away. He did not turn around to look at us, but we felt his sadness, though in outward appearance, he seemed so brave and steadfast in honoring his sacred contract. It was so painful for all of us to accept that Yeshua was going to be tortured and abused by the Romans, as we felt so helpless to save him. Can you imagine having the knowledge that you are going to be persecuted and crucified and left for dead as part of your sacred soul contract? I cannot imagine the fear that Yeshua must have felt knowing that he was to sacrifice his physical body in order to show humanity that the spirit is eternal. We were in awe of his astounding bravery, courage, and strength for what he was about to endure. What a huge responsibility Yeshua had undertaken, for he was indeed a true master and faithful servant of God. Mother Mary, Elizabeth, and I were all trembling with fear for what was about to occur. We immediately went to find Joseph of Arimathea, as he was our strength and protector. We all knew that our work had not yet even begun, for nothing could have fully prepared us for what we would soon experience on that dreadful day of the crucifixion. Greetings, my beloveds, yes, it is I, Christ. I come to you to share with you the love story of Mary and I. We know, Dear Children, that this might seem quite unusual to so many of you that Mary Magdalene and I were married and that I did not physically die upon the cross on that day. This will go through so much, what we call, speculation and scrutiny. Then I ask you to hold faith within yourself that our story, Divine Union, the greatest love story ever told, is real. And so, Dear Ones, I wish for you to understand that Mary and my sacred union was destined to be, for we are twin flames, the other half of each other’s soul. And it was our destiny to unite, to bring the legacy of our children and the imprint of our energies for all future generations to step into. What I mean by this, Dearest Ones, is that we have left the imprint of our love and our peace for humanity to return back into Oneness. To return to the still quiet voice and the essence of God that lives inside of you. So that you may begin to feel the power that you are God. I never wanted anyone to feel as if I was their Lord and Savior. I am your brother. I came to help you to show you the way. It will be very important, Dearest Ones, to listen to the words of Mary Magdalene, for she will begin to teach and to show you the way how to return and to live in sacred balance with yourself. Please prepare yourself so you may find peace and find the balance and the unity that we have found inside of ourselves during our lifetime and with one another. Today, as all the twin flames return to find each other, there is a great trepidation and also a great excitement at the same time. The twin flames are returning to return back into Sacred Union and to begin their mission. And yet, so many are anxiously waiting to find their twin flame. But we ask you, Dearest Ones, to breathe and to be at peace. It is not about when, where, or how. Simply allow the journey of your life to unfold. And when it is time for you to unite with your twin flame and begin your mission as Mary and I did, you will feel within your heart the completion that you have so longed for uniting your beautiful spirits as one. This is the legacy we bring to you. This is why Mary and I come today to share our voices with our own love story, so that you, too, may find the love inside of you and share your beautiful life with your own twin flame and be at peace. We thank you, and blessed be.